Every year in Wellington (Florida), an unreal horse town and equestrian paradise, the American association of the Spanish horse, USPRE, honors the Pure Breed Spanish Horse with a week of activities. 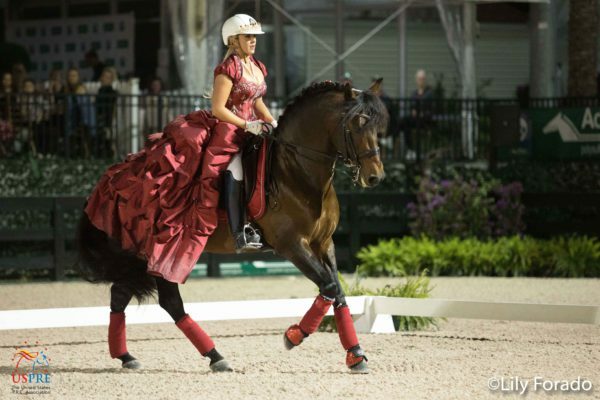 This year, the four-day event was held during Week 3 of the Adequan Global Dressage Festival, from January 24 to 27. Wellington, FL – January 26, 2018 – Laura Graves and Verdades comfortably captured the FEI World Cup Grand Prix Freestyle presented by US P.R.E. Association with a mesmerizing performance on her own 2016 Rio Olympic team bronze medallist, Verdades. The pair’s emphatic 84.675% is the best score ever given to date at the Adequan® Global Dressage Festival (AGDF) — an annual 12-week dressage circuit at Palm Beach International Equestrian Center (PBIEC) in Wellington, Florida. 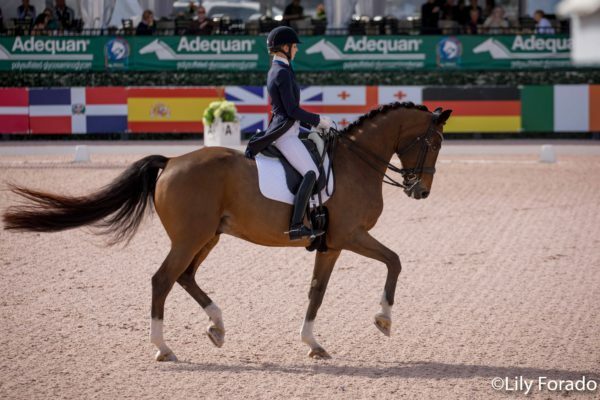 Laura Graves and Verdades ensured an electric start to week three of the 12-week 2018 Adequan® Global Dressage Festival (AGDF). 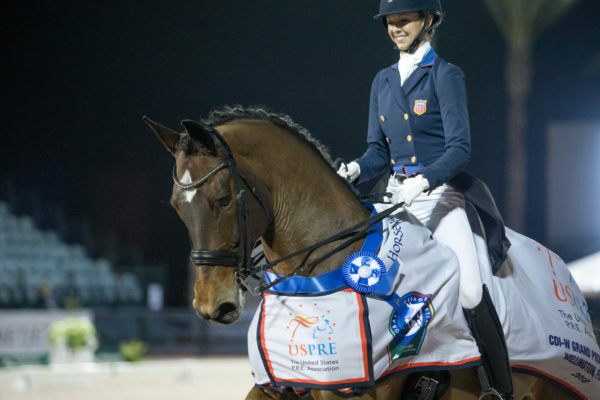 The American duo won the FEI World Cup Grand Prix, presented by US P.R.E. Association, in emphatic style, scoring 79.63% at the Palm Beach International Equestrian Center (PBIEC) in Wellington, Florida. USPRE Presents Olympic Rider Andreas Helgstrand in a Master Class with PRE Horses. His Master Class will take place on the evening of Friday 26th January at the premises of Adequan Global Dressage Festival during the break of Freestyles Under the Lights. http://lilyforado.com/wp-content/uploads/2018/01/poster-definitivo-Andreas-Helgstrand.jpg 2138 3024 Lily Forado http://lilyforado.com/wp-content/uploads/2017/01/Lily-Forado-300x98.png Lily Forado2018-01-26 03:59:272018-01-26 03:59:27USPRE Presents Olympic Rider Andreas Helgstrand in a Master Class with PRE Horses. Wellington, FL – January 12, 2018 – The second day of action at the 2018 Adequan® Global Dressage Festival (AGDF) culminated in another show-stopping performance by Tinne Vilhelmson Silfvén (SWE) on Lövsta Stuteri’s Paridon Magi at the Palm Beach International Equestrian Center (PBIEC) in Wellington, Florida. AGDF concludes its first week of competition on Saturday and the circuit continues through March 31.